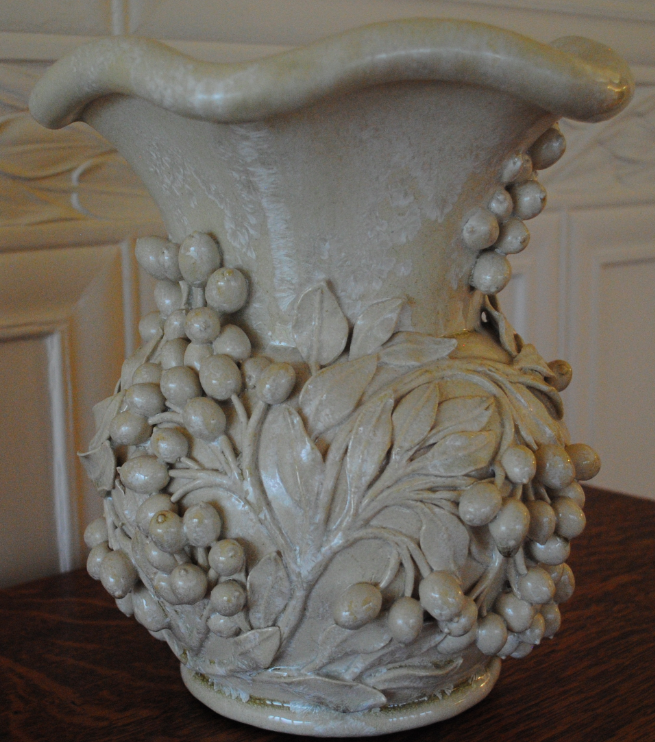 On display in the White Drawing Room at Blackwell is a richly decorated vase. The vase is the work of the London based ceramic artist Kate Malone. 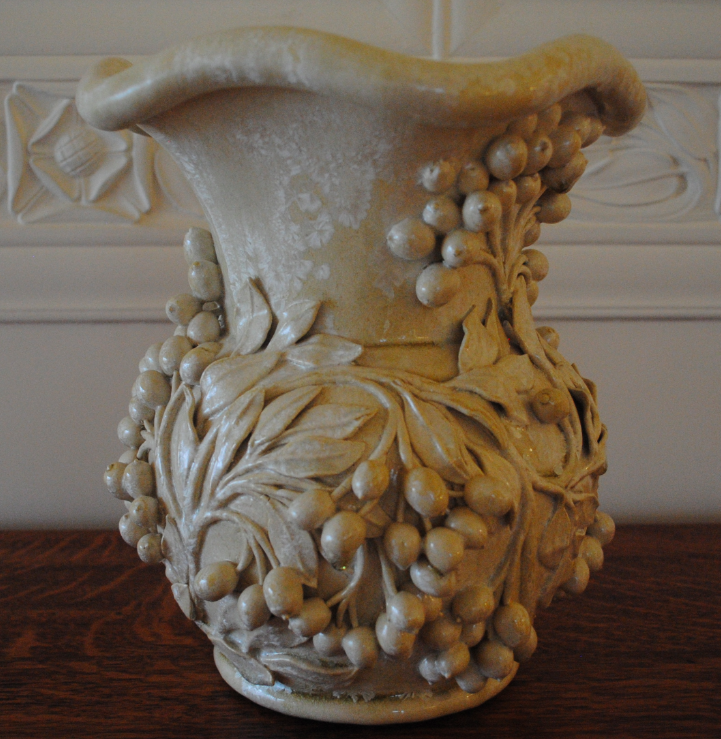 Inspired by the plaster frieze in the White Drawing Room, the vase is a synthesis of nature and history. The stoneware vase with crystalline glaze incorporates the sense of rhythm found within the pattern of the Rowan tree design of Baillie Scott. Made in 2005, the white glaze ceramic was gifted by the Roselands Trust.